We all know the wedding is the bride’s day, but more often than not, the flower girl and ring bearer steal the show. We asked readers to send in pictures of their flower girls and ring bearers. Marie Kassa in 2002 (she’s now a sophomore at MSU) She followed me around all night saying she was a bride too! Call me biased but I say my flower girl, Rachael Garmo and ring boy, Nicholas LaFave are still the cutest ever! 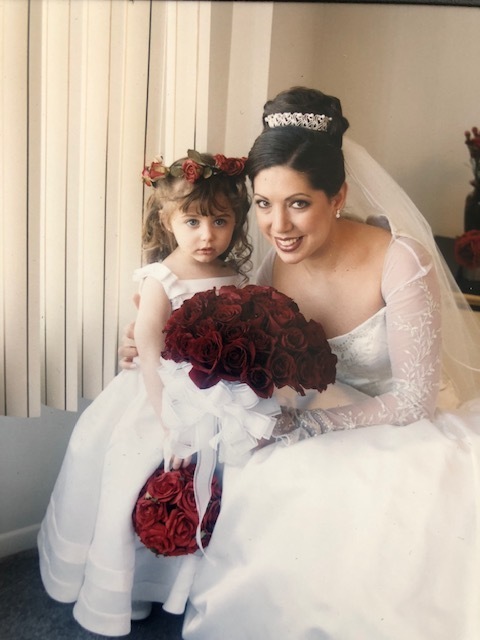 The flower girl is Alexandra Kizy, 4. The ring boy is Nicholas Kizy, 6, who is engaged to be married himself next year! Flower Girl (my daughter) Madison Pappadakis and Ring Boy Elio Ledesma at my sister’s wedding in 2009. My kids, Bryson and Helena, stood up together in two different weddings this summer!